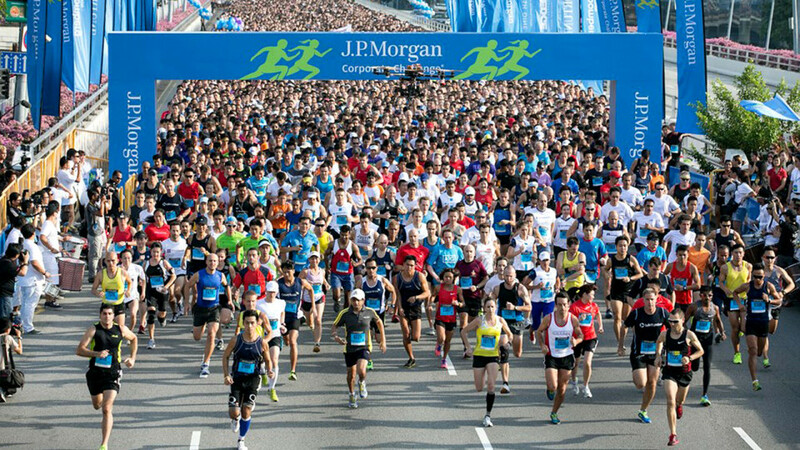 With a capacity crowd of 14,264 entrants from 297 companies, the 12th annual J.P. Morgan Corporate Challenge in Singapore proved again to be a worthy reason to run out of the office. The Corporate Challenge has been an annual success in Singapore since its 2004 debut, filling all its registration spots in 11 of 12 years. The blend of fitness and post-race revelry truly resonates in this Southeast Asian city-state.